My name is Moses Khisa and this is my online home! 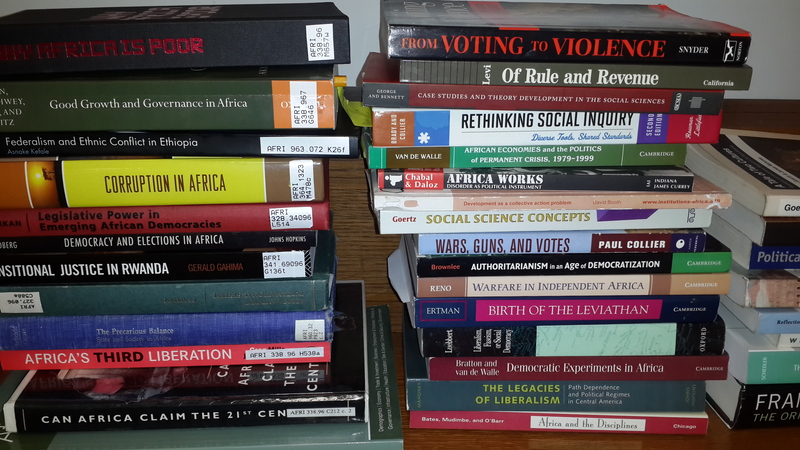 I study and teach politics and political development with a focus on contemporary Africa. I got my PhD in Political Science at Northwestern University, Evanston/Chicago-USA in June 2016. I'm Assistant Professor of Political Science at North Carolina State University, Raleigh NC-USA. I'm a student of politics and not a politician! So, I've little interest, if any, in active politics. However, since I was a little boy in secondary school, I've always had a keen interest in global current affairs but also local sociopolitical developments. Thus, since April 2013, I've been writing a Friday current affairs OpEd for The Observer newspaper, Kampala, Uganda's most incisive and informative national newspaper. I also co-founded a political think-tank, Society for Justice and National Unity (SoJNU), with senior colleagues at Makerere University, Kampala, which seeks to provide intellectual input to Ugandan politics. In addition to my limited political activism, I am also involved in community engagement as Vice President for the North America Masaba Cultural Association and board member of a university/tertiary education scholarship non-profit organization, CROSO.